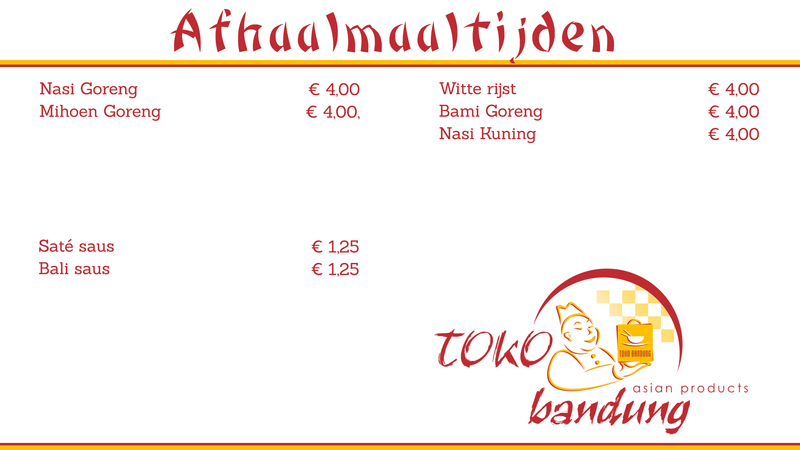 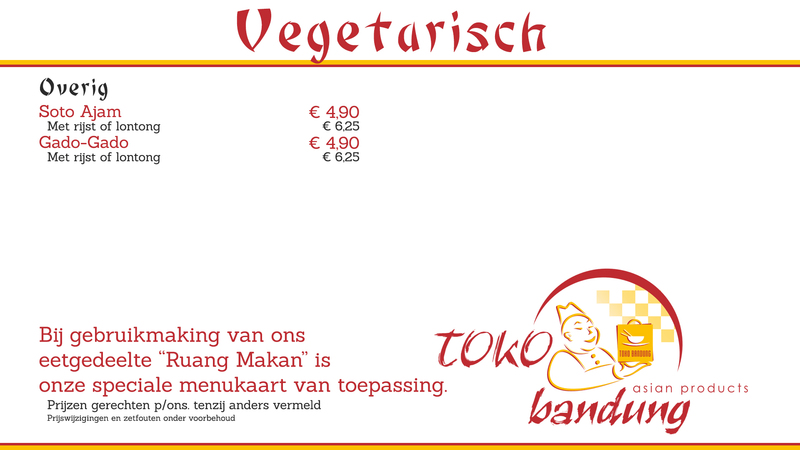 At Toko Bandung you can order or take-away delicious Indonesian meals and snacks. 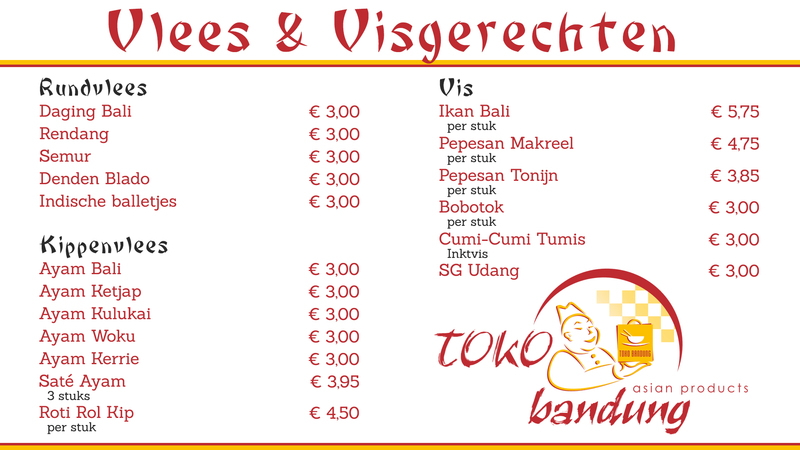 You can choose out more than 40 different meals (Halal meat and fish). 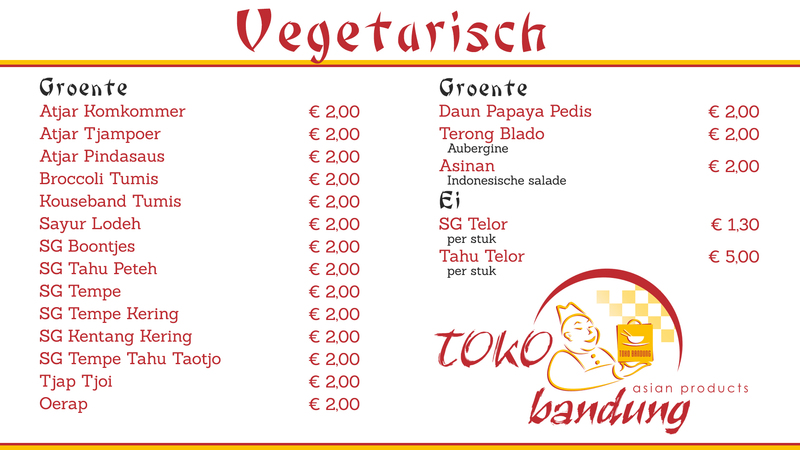 The dishes range from mild to very spicy.